1. 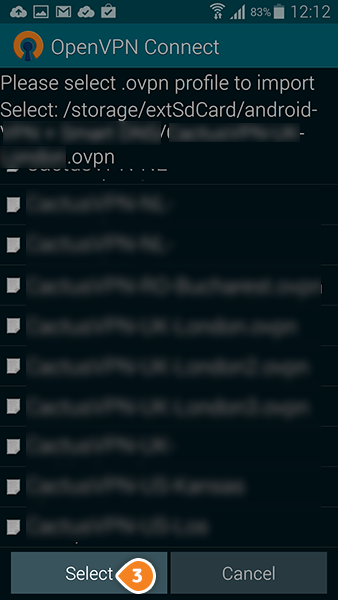 In order to setup OpenVPN on Android you will have to download the config files, unzip them, and store them on your device or SD card. 2. 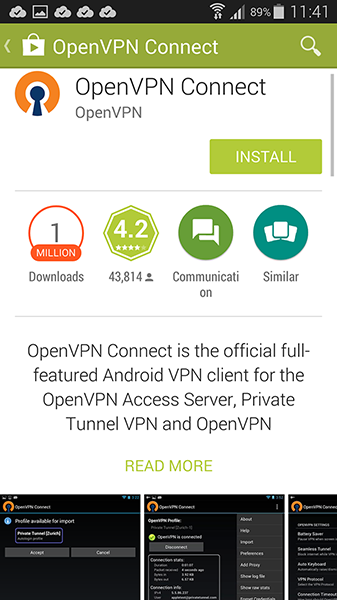 Download and install the OpenVPN Connect app. 3. 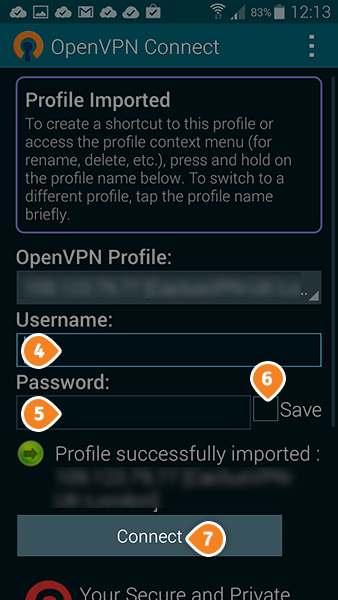 Open the “OpenVPN Connect” application. 4. Tap on the “Options” (1), then tap on “Import” (2) and choose “Import Profile from SD card”. 5. Find the folder with the OpenVPN configuration files and open it, then choose the desired server’s config file. Then on “Select” (3). 7. Check the “I trust this application” checkbox then tap on “OK”. Your OpenVPN connection is now active. 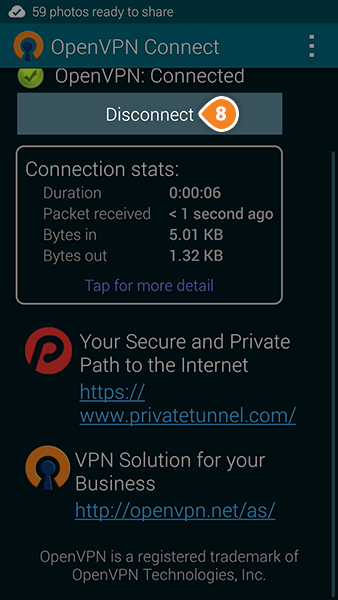 To disconnect go to “OpenVPN Connect” application, then tap on “Disconnect” (8). 8. To verify that you are connected to a VPN server, please go to whatismyipaddress.com and check whether your IP address and location have changed.